It was not until the late 18th century that the first recorded observation that recognized Uranus as being a planet took place. 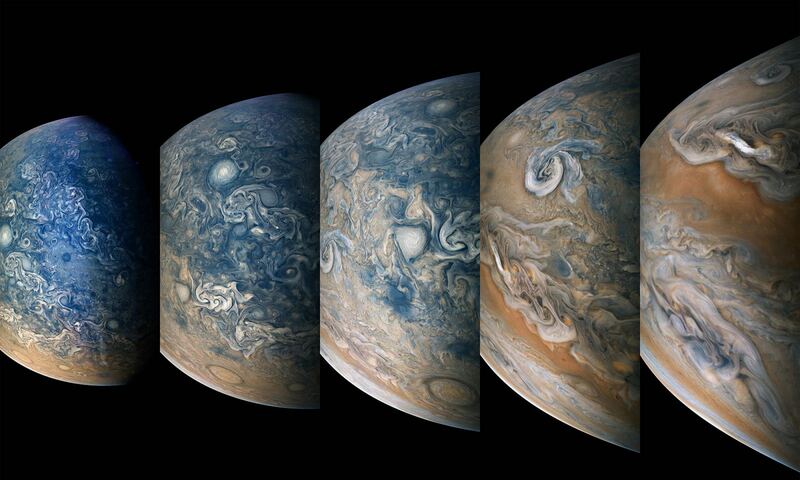 This occurred on March 13th, 1781, when British astronomer Sir William Herschel observed the planet using a telescope of his own creation. 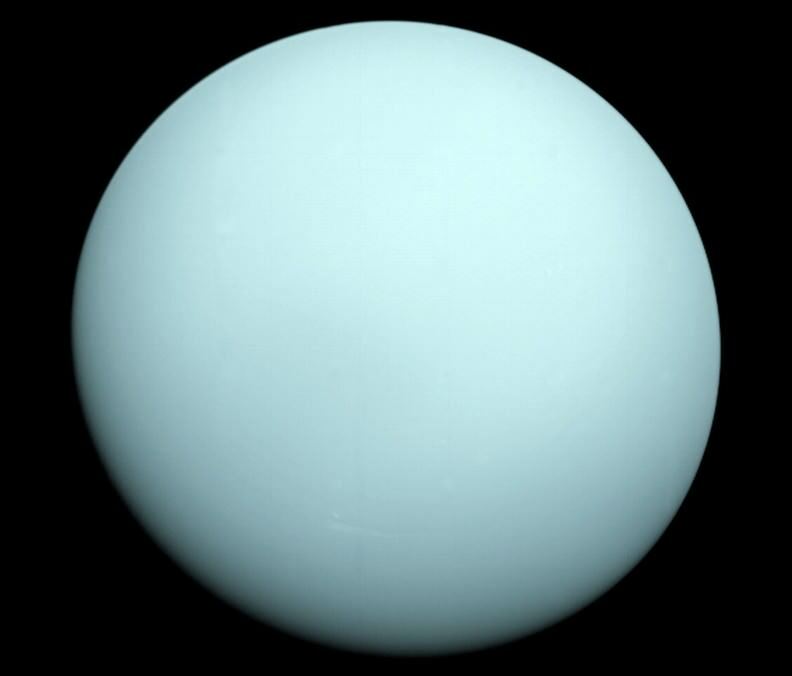 From this point onwards, Uranus would be recognized as the seventh planet and the third gas giant of the Solar System. 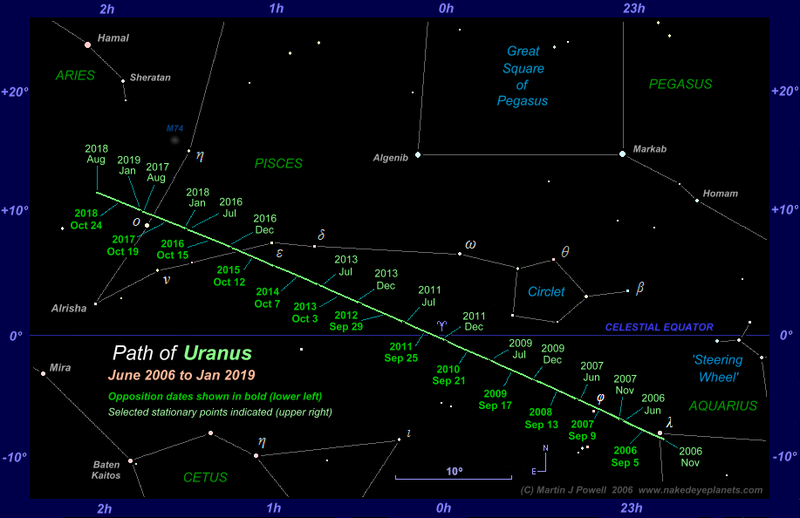 The first recorded instance of Uranus being spotted in the night sky is believed to date back to Classical Antiquity. During the 2nd century BCE, Hipparchos – the Greek astronomer, mathematician and founder of trigonometry – apparently recorded the planet as a star in his star catalogue (completed in 129 BCE). This catalog was later incorporated into Ptolemy’s Almagest, which became the definitive source for Islamic astronomers and for scholars in Medieval Europe for over one-thousand years. During the 17th and 18th centuries, multiple recorded sightings were made by astronomers who also catalogued it as being a star. On the evening in question – March 13th, 1781 – William Herschel was surveying the sky with his telescope, looking for binary stars. His first report on the object was recorded on April 26th, 1781. Initially, he described it as being a “Nebulous star or perhaps a comet”, but later settled on it being a comet since it appeared to have changed its position in the sky. Consistent with this, Bode proposed the name Uranus in a 1782 treatise. The Latin form of Ouranos, Uranus was the grandfather of Zeus (Jupiter in the Roman pantheon), the father of Cronos (Saturn), and the king of the Titans in Greek mythology. As it was discovered beyond the orbits of Jupiter and Saturn, the name seemed highly appropriate. In the following century, Neptune would be discovered, the last of the eight official planets that are currently recognized by the IAU. And by the 20th century, astronomers would discovery Pluto and other minor planets within the Kuiper Belt. The process of discovery has been ongoing, and will likely continue for some time to come. We have written many articles about planetary discovery here at Universe Today. Here’s Who Discovered Mercury?, Who Discovered Venus?, Who Discovered Earth?, Who Discovered Mars?, Who Discovered Jupiter?, Who Discovered Saturn?, Who Discovered Neptune?, and Who Discovered Pluto? Here’s an article from the Hubble educational site about the discovery of Uranus, and here’s the NASA Solar System Exploration page on Uranus. Next PostNext What is the Mid-Atlantic Ridge?